My name is SSgt Charles Kenney. I am active duty Air Force deployed from the 6th Security Forces Squadron. 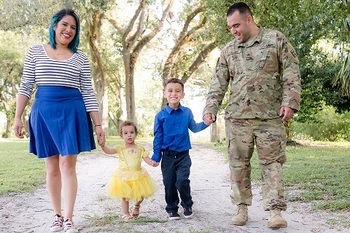 My family and I have been stationed at MacDill AFB for five years and there has not been a chance to relax and cherish what we have and reward my wife for holding the family together like she always does. Our oldest son was attacked by a dog requiring extensive facial surgeries, our youngest son required two surgical procedures while he was an infant and had failure to thrive, my wife required two medical surgeries, and I required back surgery in 2016 due to a military training exercise injury. I was not sure if I would ever return to active duty. It seems like the last five years has been one crisis after another. As grateful as we are for our positive experiences at MacDill AFB we are ready for me to return from this deployment, take one final family vacation, and head to the next chapter in our lives. Our youngest sons have never had the magical experience of Disney World and I would love to reward the entire family for standing by my side throughout my military service and always supporting me even when times were extremely stressful. I would like to take my family to Disney World when for a family reintegration vacation. Although Disney World will not make up for the lost time with their Dad, I would like to create new unforgettable memories with my kids that will last a lifetime and bring all five of us closer together and reunite as a family! 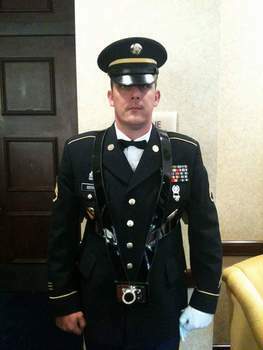 My name is SGT Michael Fuller and I am currently deployed. My wife recently told me that my son has been saving money to take me to Disney World when I get home from this deployment. I have served for about 9 years now and this is my 3 deployment. This is my 1st deployment as a married man and father of 2 kids. My son is 5 and my daughter is 2. 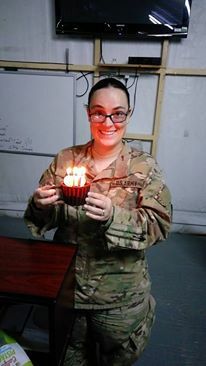 I missed their birthdays and every holiday this deployment and I would love to make it up to them. We are asking for the Military Salute Park Hopper tickets for 5 days. My wife tells me my daughter loves Disney princesses and my son wants to ride the roller coasters with me. Please help me make their dream come true. Thank you for the opportunity to be spend time with my family and see how much my children have grown. We were able to visit my daughter's favorite princess and I rode the roller coasters with my son. Truly appreciate you guys and all who donated. THANK YOU! 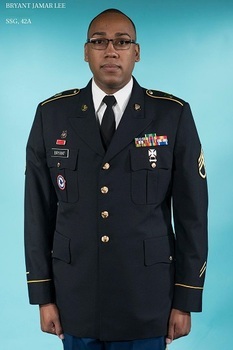 My name is SFC Joshua Sesters. I am a wounded warrior and disabled Vet, that served in the Army for 14 plus years. I was wounded in Iraq in 2004 while. I'm the father of a beautiful daughter, and husband to my amazing wife of 13 yrs. My family has always wanted to go to Disney world, so my wish is a trip for my family and I to Disney world. My name is SGT. Kenneth Darnell. I'm currently on my first deployment. 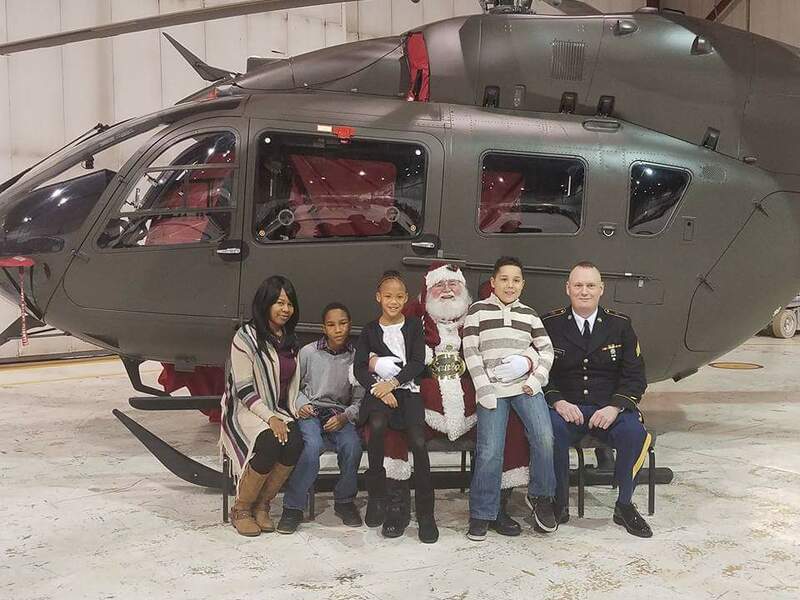 I have a beautiful blended family and we had a wonderful new addition during my deployment. My wife Catherine is currently attending school while doing an amazing job as a stay at home mother. Catherine and I have been together for just over 2 years and have 4 kids between us: Donye 12, James 10, Arriyanna 8, and the newest addition is Cameron 4 months. On the civilian side I work at a paper mill which is a 7 day a week operation in which I get very few days off and work a lot of 12-16 hour days. Due to financial reasons I have to return to work almost immediately upon my return because I used up all of my leave when I went home for the birth of my son. I would love nothing more than being able to surprise my family with what would be our first vacation as a family together. 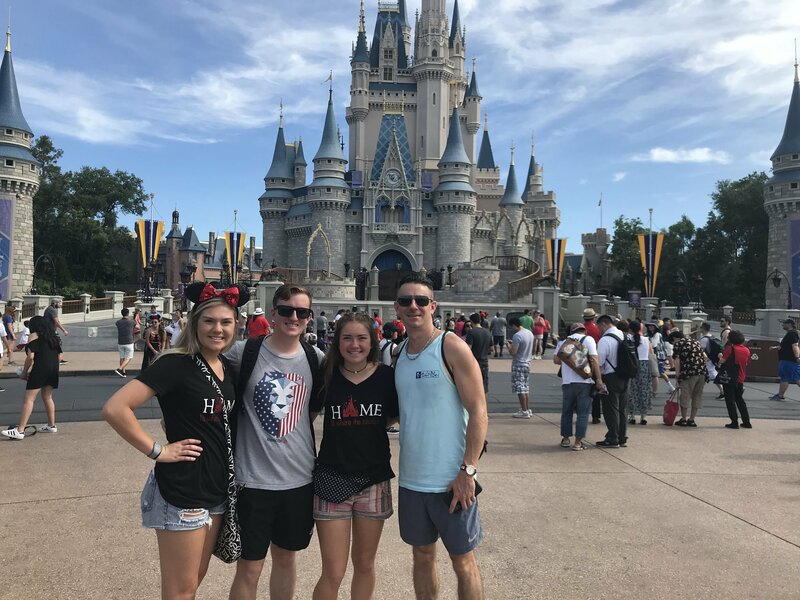 I am requesting (5) 4-day Armed Forces Salute tickets to Disney World. God Bless everyone and thanks for allowing me tell you my story! My name is 1SG Delarna, I have served 19 years in the Army and I am currently on my 7th deployment in Kuwait. I did 3 tours to Iraq, 2 to Afghanistan, 1 to Haiti and 1 to Kuwait. Being a Combat Engineer my job is risky. Three of my deployments were just searching for IED’s & doing rock clearance. Along with myself, my family has made many sacrifices throughout the years. After returning home this summer, I would like to thank them by taking our first family vacation together. My wife & I have been married for six years and have yet to have a honeymoon. Life just seems to fly by when you’re being deployed or pcsing every 2-3 years. We have a blended family with seven children(19, 16, 14, 13, 12, 7 & 2 mts) with our newest being born during this deployment. Thankfully, I was given one week leave and made it home the day before his arrival. Due to health reasons he experienced extended hospital stays, for that he has yet to meet his three older siblings. Our son doesn’t even know it yet but he has brought our blended family even closer! Seeing all seven smiling faces together for the first time will be a moment to cherish a lifetime! We are a family of 9 but will need 8 tickets. We do understand that it is highly unlikely our wish will be fully granted. We’re hoping at the least, we are blessed with some of the tickets to help offset the cost. Our one wish for our family is to take our first family trip to the happiest place on earth, Disneyland!!! My name is Albert Meraz. I am currently overseas for a year long tour in Afghanistan. I have my wife and two girls (6 and 2) at home supporting me and awaiting my return in the summer next year. My wish is to take them to legoland in Florida and stay there for the weekend in July when I should be able to take post deployment leave. They have been so strong through this tour and I would like to give them a nice fun break when I arrive back. 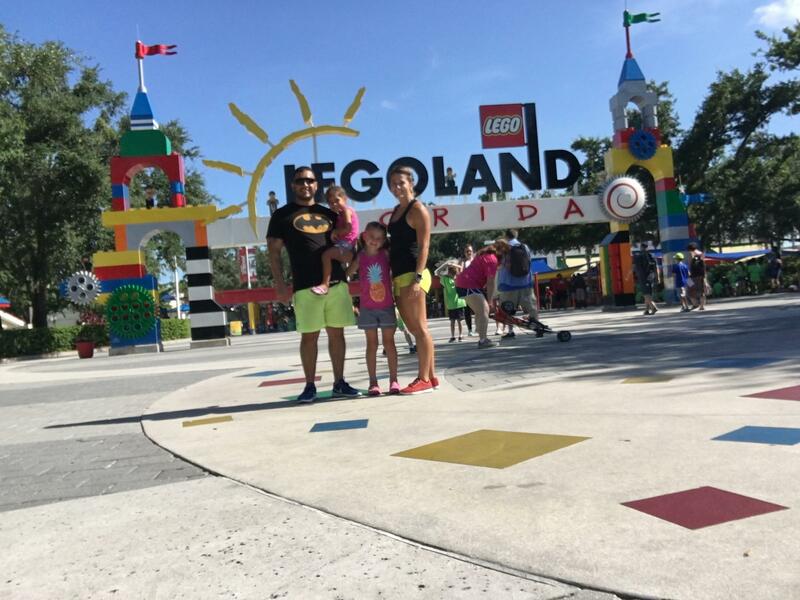 Thank you so much Vet Tix for giving my family the opportunity to enjoy a vacation here at Legoland. My girls are having the time of their lives and we are so thankful. We appreciate the support from the people who have donated and want to say thank you to them for helping us get here. Hello my name is SGT Jeremy A. Looman. I just returned from Ukraine in support of Operation Atlantic Resolve with the Army National Guard. My youngest son, Sean, was born on the first day that I deployed to Ukraine. I returned a 2 weeks ago, and could only afford to take a week off before returning back to work. I have spent over 4 years in a combat zone, most of that time on Active Duty status with the 173D ABCT. It would mean the world to me spend time with Sean, and the rest of my beautiful family. My wish is for 6 Disney World Park Hopper Passes. My wife is amazing, such a sweet person and so deserving of a vacation. Even if this wish doesn't come true, I feel blessed to have served in the United States Army and the National Guard. My beautiful family consists of 7 but only need tickets for 6 because Sean is so young. Jenny my beautiful wife, Kyra (13), Halle (11), Jeremy Jr. (5), Jace (3), and Sean (7 Mo) and myself. My name is LCDR Hugh Wilson. 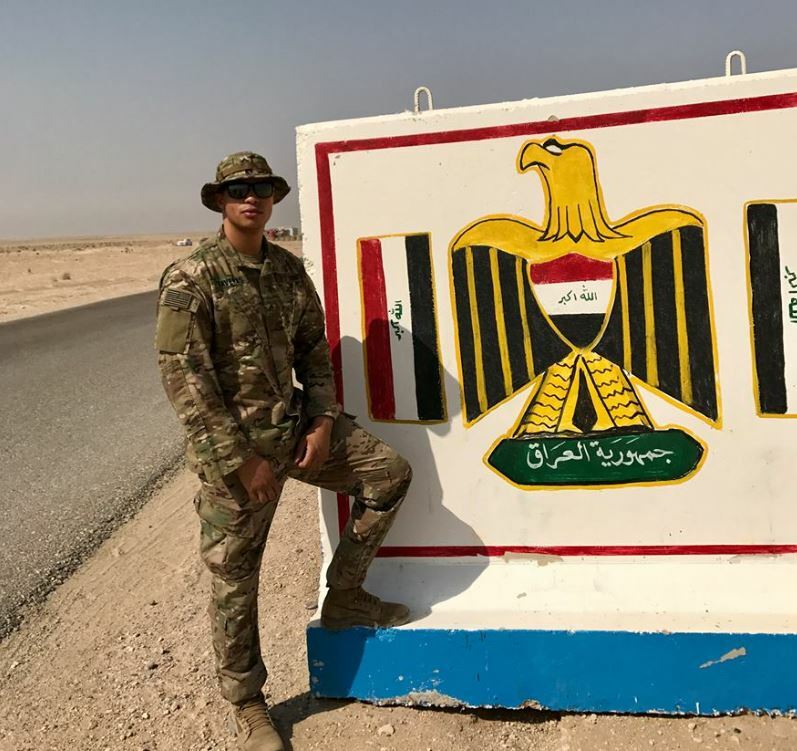 In December 2017 I returned from a reserve mobilization and six month deployment to Iraq. 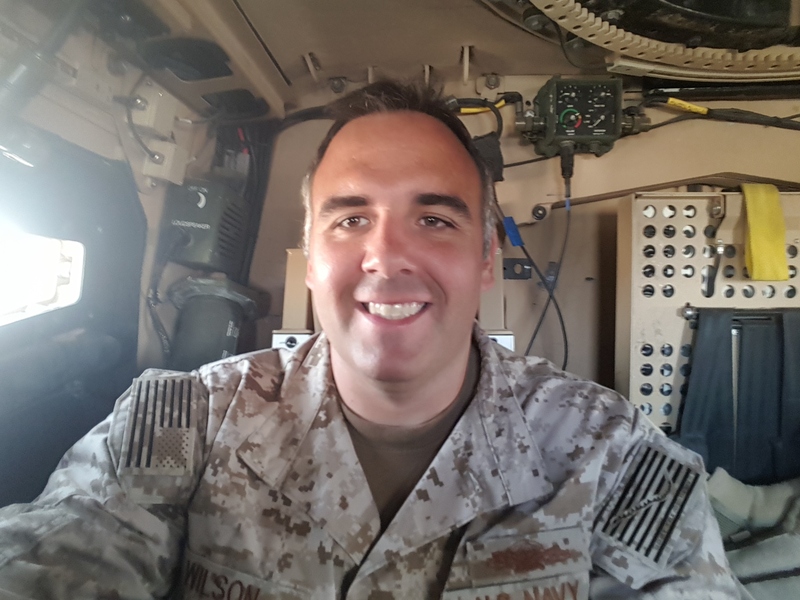 The deployment was a rewarding experience, but was somewhat unexpected and followed 14 months of working the night shift as a warehouse manager. During the deployment, my wife (a former Army Officer and Afghanistan veteran) was pregnant with our second daughter (she was born 3 days after I returned), raising our 2 year old and working full time. She never complained once throughout my deployment and was an amazing partner to me and mother to our girls. I would like to do something special for her to show my appreciation for the outstanding support and care she provided to our daughters and I while I was deployed. I would like to request two ticket for my wife and I to attend Hamilton when the touring production comes to the Kennedy Center in Washington, DC. First and foremost, my wife and I would like to extend our most sincere and heartfelt thank you to the individual donors that donated our tickets to attend Hamilton. We enjoyed an amazing evening with GREAT seats and will be forever thankful for your generosity. 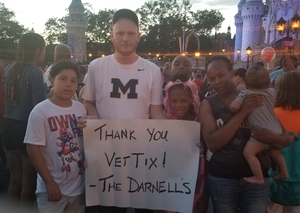 Additionally, we would like to thank the staff from vettix.org for everything they did throughout the process and everything that they do for the veteran community. 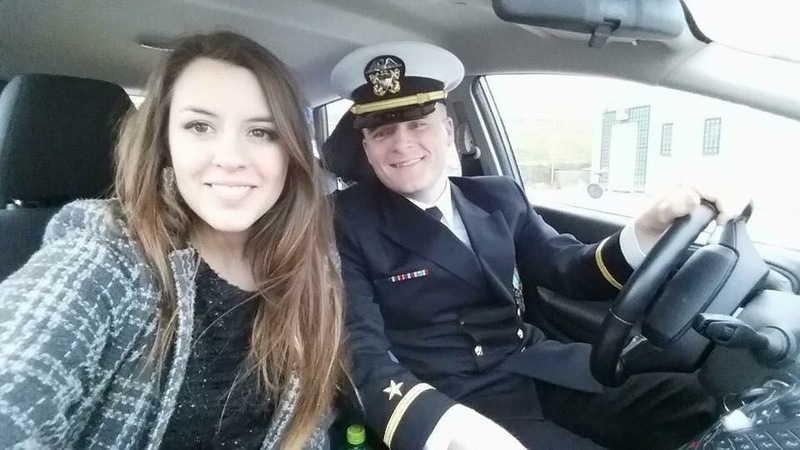 My name is Lieutenant Junior Grade Dominic Scharret, My wife and I have been married for almost 5 years now, and I have not been able to take her on a proper honeymoon. 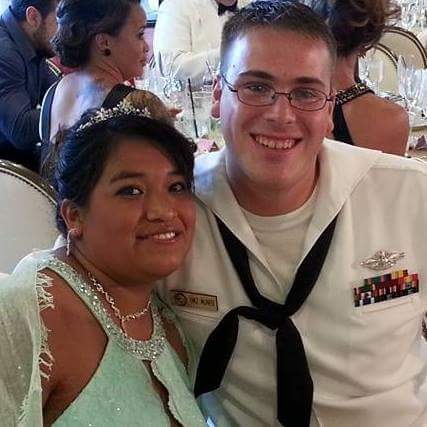 I did not have the leave or money at the time of our wedding due to the fact I was stationed in San Diego and our wedding was in Georgia (all of my leave and money was spent on travel back to my duty station). 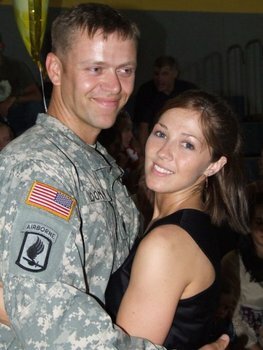 Since our wedding, I have not had time to take her on a proper honeymoon due to deployments, OPTEMPO and the fact I was selected for Officer Candidate School (OCS). After training at OCS, I received my commission and went further into more grueling training for flight school. I have not had time to take any vacations with my wife, let alone make up for her missed honeymoon. Recently, I was selected into the HR community and now, I finally have a position where I have the time to be able to take her on the honeymoon she deserves. I would like to take her to Universal Studios Hollywood. She is obsessed with Harry Potter. 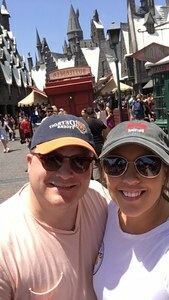 My wife and I want to send a sincere thank you to Vet Tix and the individual donors that supported us on this amazing honeymoon to Universal Studios. We had an absolute amazing time and enjoyed the rest and relaxation from our hectic schedule! It truly was a blessing to us! 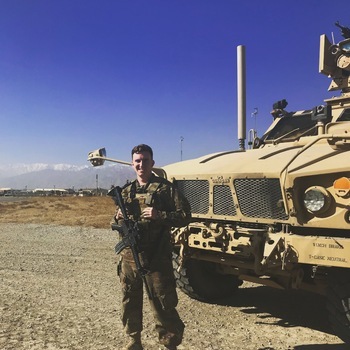 My name is Alexander Gregory, I have been in the Air Force for just over three years, I am currently serving my second deployment in the military overseas. When I get back state side from this 10 month long deployment I would like to take my dad (Kevin Gregory 52) to an Eagles concert. They are my all time favorite band! Any assistance we could receive would be greatly appreciated! 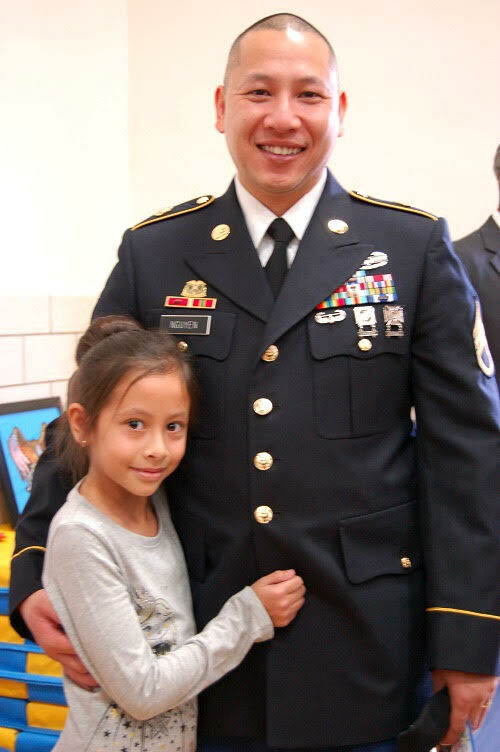 Hello, my name is SSG Phi Nguyen and I just recently returned home from my 2nd deployment and wish to take my family on a vacation to Disney World. 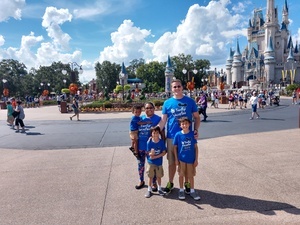 After my 1st deployment I was unable to take them anywhere on a vacation so I would love to surprise them this time around with a trip to Disney World. Although this was only my 2nd deployment, I have missed countless birthdays, anniversaries, multiple holidays and school functions which has been really tough on my family, not just myself. I want to let my family know that I appreciate them for all their sacrifices that they have had to make while I was away. I would love to have three 4-day park hopper passes to Disney World. Thank you so much for any help in making my wish for my family dream come true. I greatly appreciate all the support. We would like to thank Vettix, Veteran Tickets Foundation and each one of our 10 individual donors who made it possible for this truly awesome vacation to DisneyWorld. 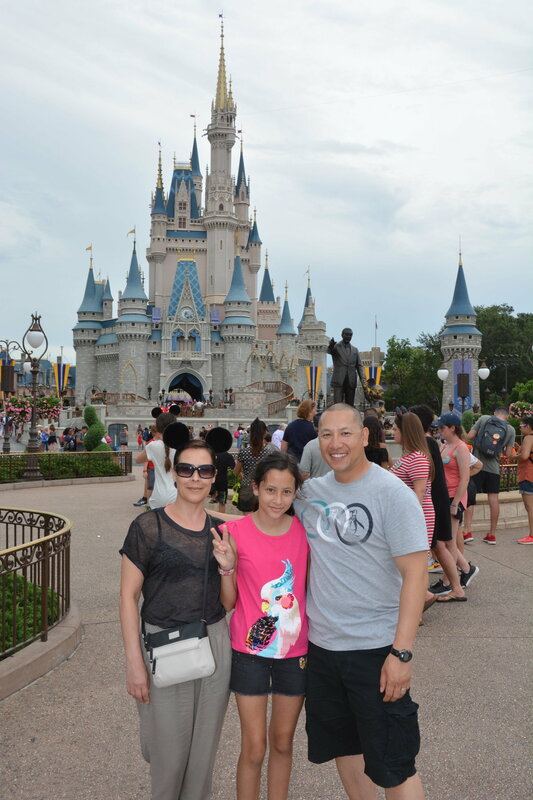 My family had such a blast at all the parks and made magical memories that we will remember forever. Words cannot express how we feel or how much we appreciated this gift. Thank you once again to everyone for your kindness, generosity, support, time and effort into making this vacation possible and a huge success for us. - Nguyen Family. 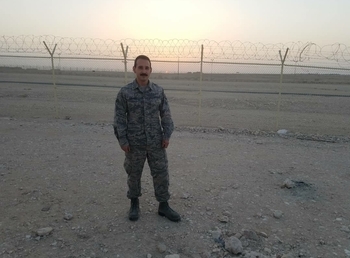 My name is Airman First Class Stricker I am currently on a six month deployment in Afghanistan. It is my very first deployment and it is hard being away from family. I would like to take my dad (Chad Stricker 43) and my two younger sisters (Peyton Stricker 16) (Janevy Stricker 14) to Disney World. I want to take them on this trip to make up for missed time together. I would like four 4 OR 5 day park hopper tickets. This would mean the world if you could make this happen for us. Thank you so much for making this trip happen for my family and I we had an amazing time together. 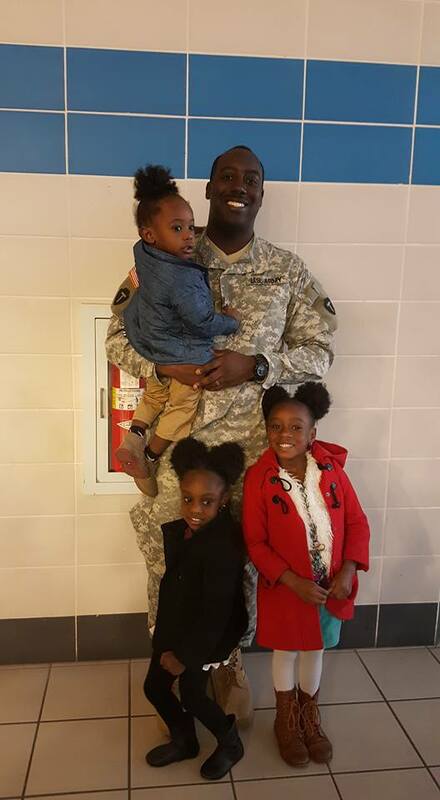 I am SSG Bryant my one wish is to take my wife and kids to Disney World, I have 3 boys one is 6, than I have a 2 year old and a 4 month old. 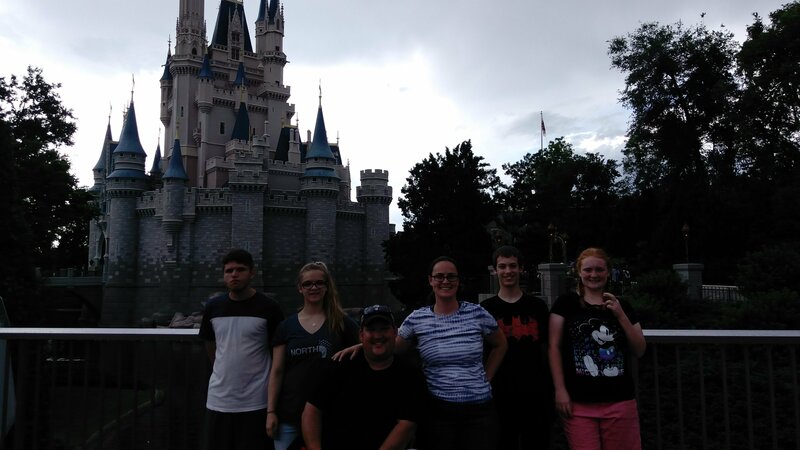 I have never been to Florida or Disney World, I see it on TV or I have friends that have been and they all have enjoyed it, I just feel like it would be an awesome thing if I can at any way get them to go to Universal Studios so they can have fun there. My two younger boys birthdays are 1 day apart and It would be a great birthday gift to take them to Disney world. 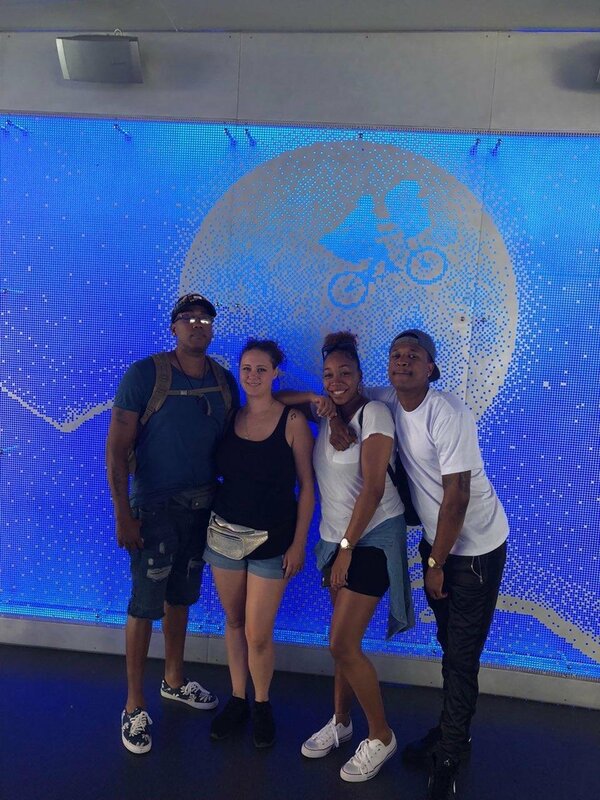 Thanks to everyone that was able to help my family and I go to Universal Studios, it was a great blessing and I truly appreciate it and I am thankful for all of your support. I am a Navy Corpsman, currently on my 3rd deployment. I am married to my beautiful wife, Sandra, and we have 3 boys -Kayden (7), Christopher (5), and Samuel (1). Due to monetary constraints, I have been unable to give my family a true vacation. 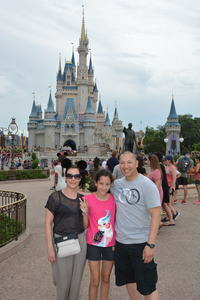 I wish to bring my family to Disney World and have a memorable vacation with them. The military keeps me away from my family far more than I wish, and I want to have a special vacation with my family. I don't want my boys to look back and only remember me being gone all the time. I want my family to have a little bit of fun if that is possible. 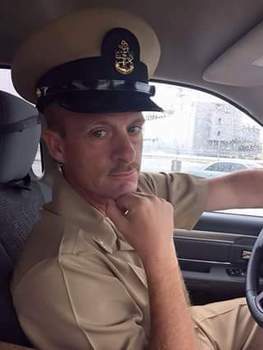 My name is Chief Petty Officer Bradley, Erik. It'll be 16 years of service come this May 2018. The toughest part about being in the military is leaving a support system like no other...my family has sacrificed so much for my career and continues to do so. I am currently deployed to the Persian Gulf and will not return until December sometime (7 months gone). 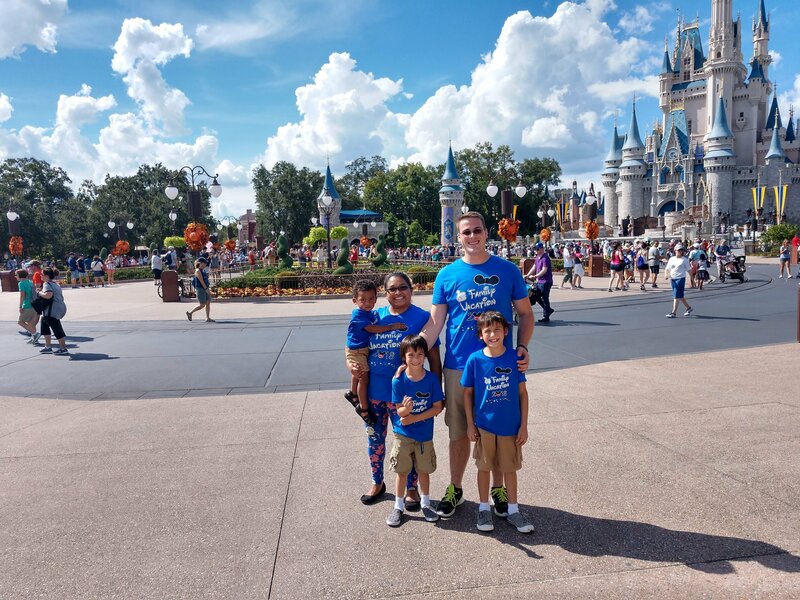 My wife and I have had dreams of taking our boys to Disney since they were 2 and 4 (now 7 and 9) and have not had the funds to take our boys on a family vacation. I would love to be able to surprise our 2 boys with a trip to Disneyland to try to make up for all the missed birthdays, anniversaries and holidays. 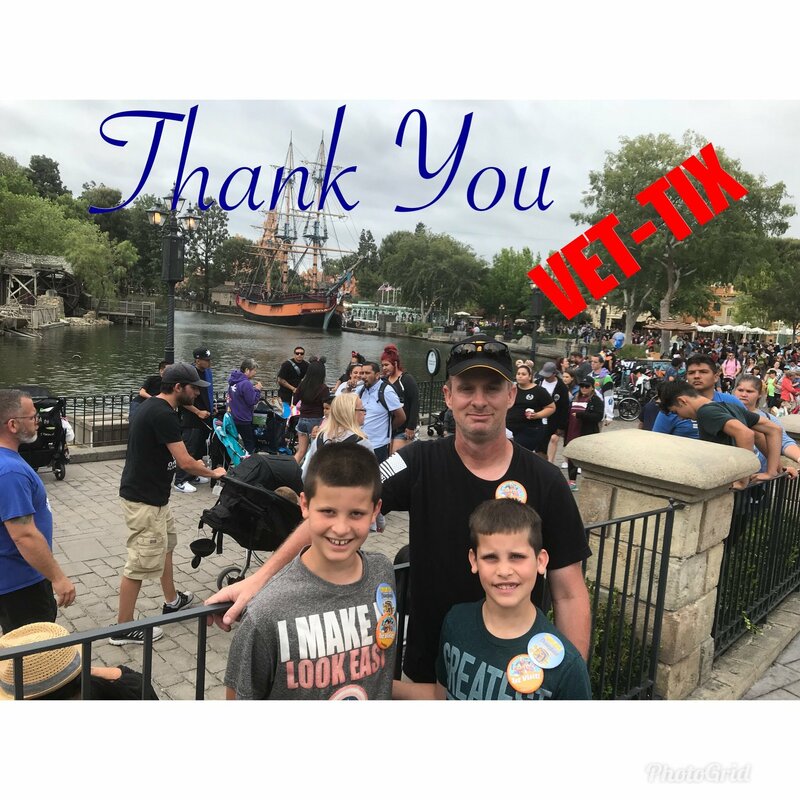 I would like to make a Hero's wish to request (4) Disneyland 3-day park hopper tickets for my family; My wife Rebecca and our 2 boys; CJ 9, Trenton 7. We would love to take this trip in February or March 2018. Any sort of contribution would be greatly appreciated and a dream come true for all of us. Please help our family with a vacation that will be remembered for a lifetime and we would be forever grateful. Thank you and God Bless. My family and I want to thank everyone that made this dream a reality. We spent 3 days between Disneyland and California adventures. We had a blast and with out your great generosity this would not have been possible. From the bottoms of our hearts we Thank You. Hello everyone! 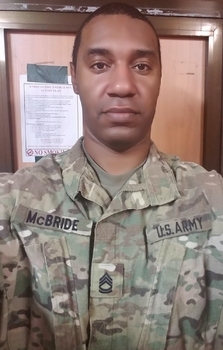 I'm SFC McBride, I am on my 4th deployment. I have been in the Army for 16 years. I have missed so many significant moments with the family. We haven’t had time to make it to 1 family reunion while I have been in the service. My wife Veronica was also in the service, but had to get out because of complications with our triplets during birth. Our family has been through a lot with me being away during deployments and military training. My wife has been the backbone of this family for many years, abandoning her dream to serve our country and becoming a stay at home mom. We have 7 kids total (1 set of triplets, my baby boy has autism in the pic with his head down) and I could never be able to balance life the way she does it on a daily basis. My kids are Lem Jr 12, Cassidy 10, Jayden 8, Ladarius 6, Aloni, Amari, Aloni all three are 5. During this deployment, my 2 oldest sons have stepped up and tried to fill my shoes with supporting my wife with the little ones. I want to show my wife and kids that I’m very grateful for their patience and support. I want to take the family to Disney World in Florida for 3 days. I am just asking for assistance with purchasing tickets. I have saved enough during this deployment to pay for lodging, and transportation. I return home around June and want to plan our trip in July. A trip to Disney World is a one in a lifetime dream for our family, but because of the size it’s very difficult. A friend told me about the Hero's Wish and this gave me hope that our dream could actually come true. Thank you so much and I'm truly grateful for any support. GOD BLESS! My name is SGT Holt (Morris). I am currently serving with the Ohio Army National Guard's, 371st Sustainment Brigade, to Southwest Asia. I have been in the military almost 15 years. Once completed I will have been away from my family for over 11 months. This is my first deployment and leaving my family is the hardest thing I've ever had to do. 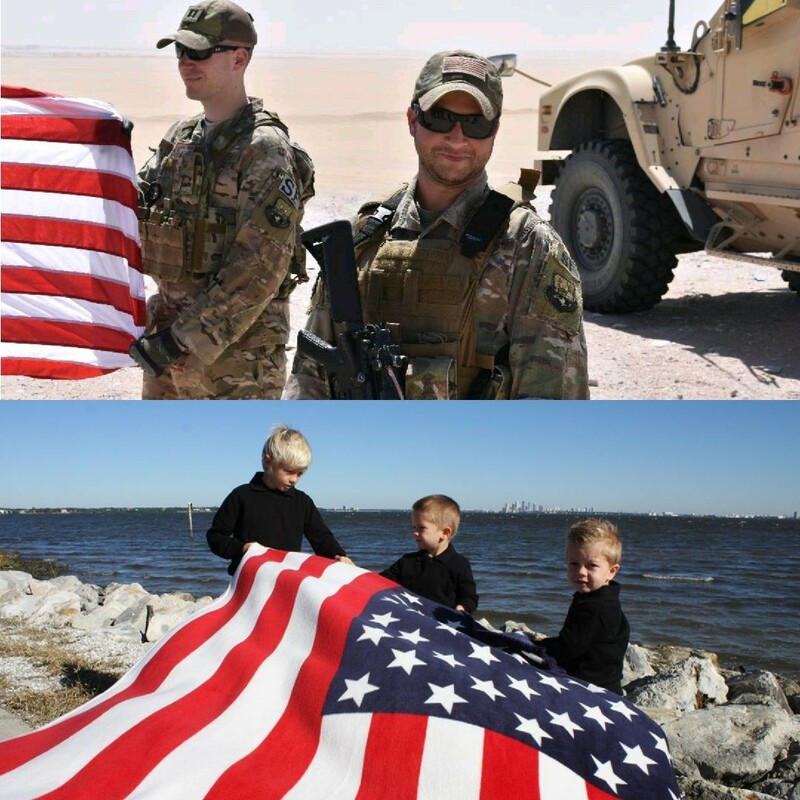 I know being deployed is equally as hard on my husband and kids. My amazing husband is at home acting as both mother and father to my daughter who just turned 16 and my stepson who just turned 17. My stepson has autism and has a hard time focusing and understanding things sometimes. I also have a 13 year old daughter and a 12 year old son as well. 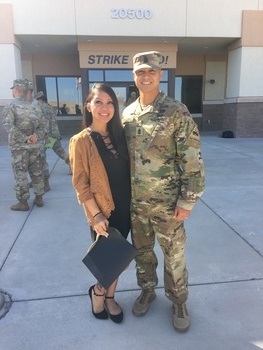 I married my husband in October 2016 and I was deployed a few months later. My husband was born with spinabifida and also has a VP shunt in his brain to drain the fluid out of his brain. He also has to use a wheelchair most of the times now because walking and standing puts to much stress on his back and hips. This is the only thing that gives him some relief besides all the medicines he takes to aid in helping with the pain some. I should return home around mid-March 2018 and am planning to take my family to Disney World; I am asking for 6, 5 day Armed Forces Salute tickets. 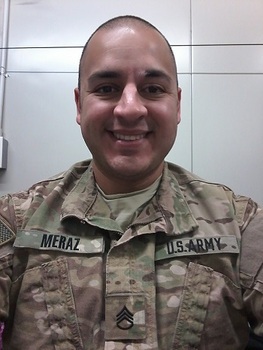 I have missed so much in this past year and the year leading up to this deployment that I am hoping this trip can help with re-connecting with them. Thank you so much for any help in making my wish for my kids come true. I greatly appreciate all the support. I want to thank the Veteran Tickets Foundation and all the donors that helped make our family dream vacation a possibly. It was so much fun. All of my kids had a blast and my stepson loved all the scary stuff specially Chewbacca, he almost cried. Me, my husband, and all the kids loved seeing all the different characters and riding the rides. Best time of our lives thanks again for all you guys do. My name is SGT Jeremiah Brewington. I am currently deployed to assist in Operation Enduring Freedom. This is my second deployment. During the course of this deployment my wife gave birth to our 4th child prematurely. Our other 3 children (5,4,3) have been more than patient while their mother has adjusted to life with 4 kiddos temporarily on her own. They've had to deal with many of illnesses, unexpected diagnoses, and surgeries while I've been away. I feel that it's time to bring some light into their lives, and would love the opportunity to take them to Disney World. Hello everyone! My name is Rosanne Caballero. I'm an Air Force active duty Staff Seargent currently deployed overseas. I currently call RAF Lakenheath in England home. 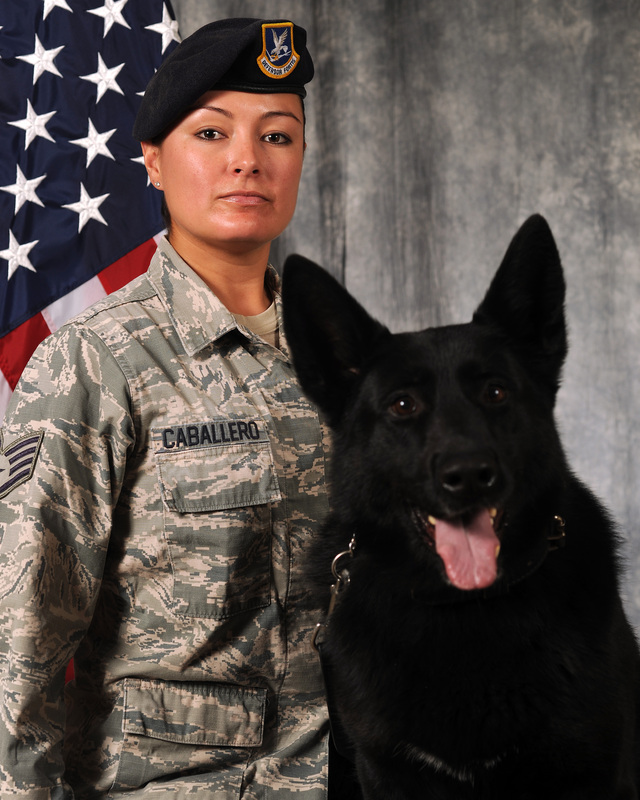 I'm a proud Security Forces member with five years of K-9 experience. My job doesn't always allow much time for travel with my family, nor does it yet make sense to my 8-year old son. My plan is to make it up to him in the ultimate way by taking him to one of the best theme parks during his next summer break. Our family enjoys going on adventures as much as possible. All I want is to make unforgettable memories we can cherish during his lifetime. My family has had a difficult time understanding the military lifestyle since they have only been exposed to it for about two years now. They are my rocks and keep me going when times get tough. My only wish is to give them all that they deserve plus more. 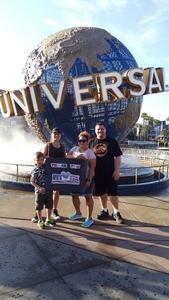 I would love to take them to Universal Studios Orlando. Although it could never make up for the time I was away, it would give us a great deal of time to spend together without interruptions. I just want to say thank you for this program and all that you do for our vets! We would like to thank each and every one of our donors for a truly special vacation experience. Our gratitude is beyond words. It is because of each of you that we have once again been able to pick up where we left off and make more beautiful memories. We will forever be grateful for your love and support. My name is Corporal Robert Taveras. I am currently on a 10 month deployment to Southwest Asia. It is my very first deployment and it is hard being away from family and friends. I would like to take my dad (Roberto Taveras 44) and my two younger brothers (Jayden Taveras 10) (Steven Taveras14) to a Yankees Game. I want to take them to this game to make up for missed time together. I would like 4 decent tickets to a Yankees game. This would mean the world if you could make this happen for us.